Family Plans: Which One Is Right For You? A cell phone plan is a paid agreement with a mobile carrier allowing your cell phone to use their network for phone calls, text messages, and mobile data (internet access). In the U.S., there are four major national carriers for mobile phone service: Verizon, Sprint, T-Mobile, and AT&T. In the industry, each of these companies is classified as a Mobile Network Operator (MNO). 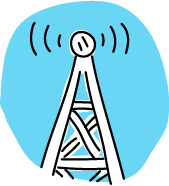 Each MNO must have a radio spectrum license from the Federal Communications Commission (FCC), as well as own and maintain their own network infrastructure to provide the cellular service, such as transmitters and cell phone towers. Note: U.S. Cellular is also an MNO. However, it only provides regional coverage rather than national coverage. References to the big four carriers in this article exclude U.S. Cellular for this reason. You might be wondering about other companies you've seen (or maybe even use). Why aren't Cricket Wireless, Boost Mobile, Straight Talk Wireless, and Ting listed above? All mobile carriers that are not classified as an MNO are actually resellers. They buy network access from one or more of the big four carriers and resell that access as mobile service to their own customers. A mobile service reseller is called a Mobile Virtual Network Operator (MVNO). These carriers are smaller and frequently offer mobile service at lower rates than the big four carriers because they save money by avoiding the expense of maintaining the network infrastructure and costly licensing. MVNO carriers primarily offer pre-paid/no contract services and plans. It's often less expensive despite using the same networks. Yes. It doesn’t sound like it makes sense but it turns out that way frequently. Option of a post-paid account, where you pay for your service at the end of the service month instead of paying in advance. This usually requires decent credit and signing up for auto-payment deductions from a checking account. 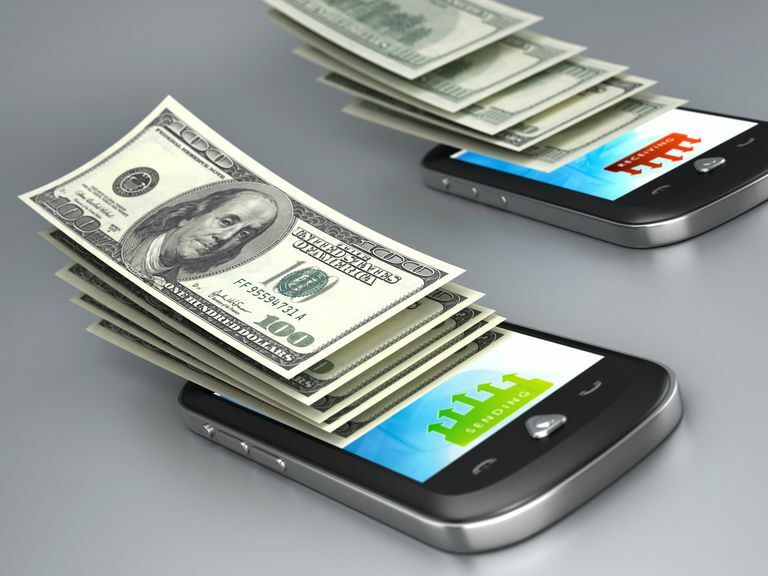 Ability to purchase a cell phone using a monthly payment plan instead of paying the total cost of a phone up front. While some MVNOs have also started offering the option to purchase a phone through a monthly installment agreement, MNOs tend to have a much larger selection to choose from and more brands and models available. At times when mobile traffic is high on the carrier’s network, MNOs prioritize network access for their own customers ahead of MVNO customers. In well-covered areas, this might not be an issue, however, in areas with less coverage or spotty service, customers of MNOs experience fewer dropped calls or other service disruptions. Customers of MNOs are the first to benefit from advancements in technology made by that carrier. For example, Verizon is heavily invested in the development of 5G speeds and network upgrades needed to support 5G service. When Verizon begins implementing 5G, their customers will be the first to use and benefit from this technology. No credit check. If your credit isn’t superb, no worries with MVNOs as they generally don’t require credit checks when nearly all of their plans are pre-paid plans. No surprise overages or extra unexpected fees. When you pay in advance, you avoid overages and unexpected charges. Bring Your Own Phone (BYOP) is more common and there is no pressure to buy a new phone from that carrier. As long as your phone was developed to work on the networks that MVNO uses (GSM for T-Mobile and AT&T networks; CDMA for Verizon and Sprint networks), your phone goes where you do. Which of the MNOs provide good signal strength and coverage where you live and work? Don’t just rely on coverage maps, but also ask neighbors and colleagues which services they’ve used and how reliable those services were. How much data do you expect to use monthly? Most people use between 3 GB and 5 GB each month. Likewise, if you might consider plans with limits on talk time or number of texts, take a close look at how many minutes you usually use and how many texts you typically send. Do you have a phone already that you would like to continue using? If so, which MNO was the phone originally manufactured to work with? How many lines (phones or phone numbers) do you need? Is it just you, or do you need additional lines for family members? Will the cell phone plan be for a senior adult? Cheap Cell Phone Plan: A majority of phone plans come with unlimited talk and text, however, if you aren’t likely to use those services heavily, you can save money by choosing a plan with a set allotment of minutes for talking and number of texts. Keep in mind that overages can add up quickly on post-paid plans. Pre-Paid Cell Phone Plan: Pre-paid phone plans are generally offered through MVNOs, though there are a couple of MNOs offering pre-paid options. With a pre-paid plan, you pay in advance for your mobile service and must refill or pay the next month before the end of the current 30-day period. Family Mobile Phone Plan: Family phone plans are no longer limited to MNOs, though they might be your most affordable option depending on how many lines you need. There are two general ways family plans are set up: shared data or per-line fixed data. With shared data family plans, there is one general allotment of mobile data that is shared by all lines in the plan. The parental controls on some shared data family plans might allow you to set data limits on each line but not all have that option. Family plans with per-line fixed data often distribute the total amount of data equally between all lines automatically. For example, a family plan with fixed-data and a total of 10 GB across four lines would automatically allot 2.5 GB to each line. Senior Cell Phone Plan: Choosing the best senior phone plan can differ based on whether any add-on services are needed. Verizon and AT&T offer senior plans with discounts for people 65-years-old and up. T-Mobile’s senior discount plan is available to people aged 55 and up. The senior plans with MNOs are simply discounted plans and generally don’t offer any special services. If the older adult in your life needs access to medical assistance or the ability to call for emergency help with the push of a button, here are two carriers to check out: Great Call (uses Verizon’s network) and Seniors Wireless (uses Sprint’s network). Unlimited Data Phone Plan: Unlimited data phone plans are growing in popularity and all MNOs have some kind of unlimited data option, as do many MVNOs. Before jumping into an unlimited data plan, there are a few things to know from the fine print. Unlimited data plans throttle or intentionally slow down your data speed for data-hogging apps, such as video or audio/music streaming. Unlimited plans also throttle your data once you’ve used a certain threshold amount of data. For example, an unlimited plan might throttle your data after you’ve used 35 GB and slow your data speed from 4G down to 2G until the next billing cycle.